Talk Nerdy To Me: Get Your Good Housekeeping On. Get Your Good Housekeeping On. I had the pleasure of meeting a fabulous mechanical engineer at Good Housekeeping yesterday. It was a really cool experience. 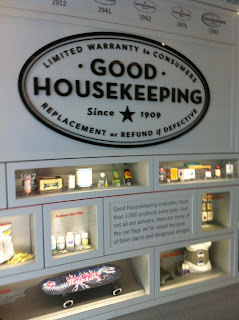 In short, as you may or may not know, Good Housekeeping is known for product testing and even more so for its "Good Housekeeping Seal of Approval" which was established in 1909. 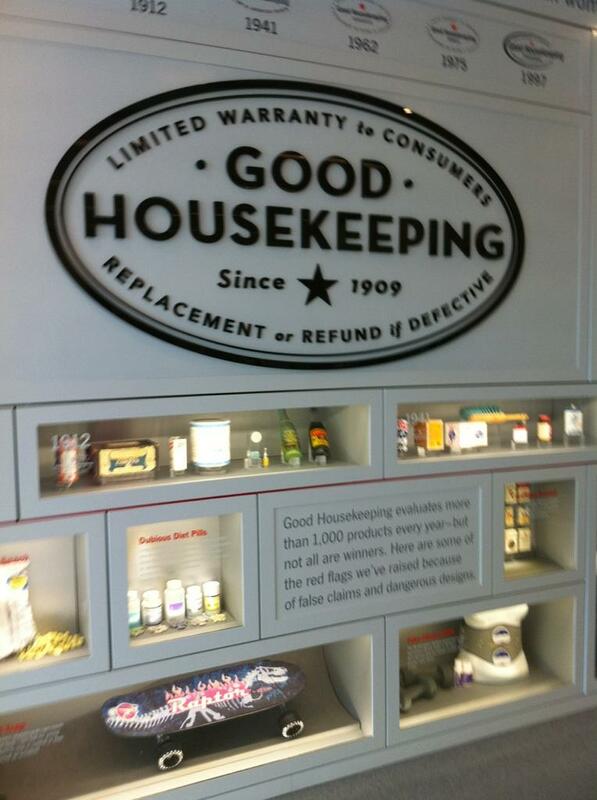 Any product that is advertised in the magazine and earns the seal are tested by the Good Housekeeping Research Institute and are backed by a two-year limited warranty. An honor for your product to be given the seal. So, what was interesting? 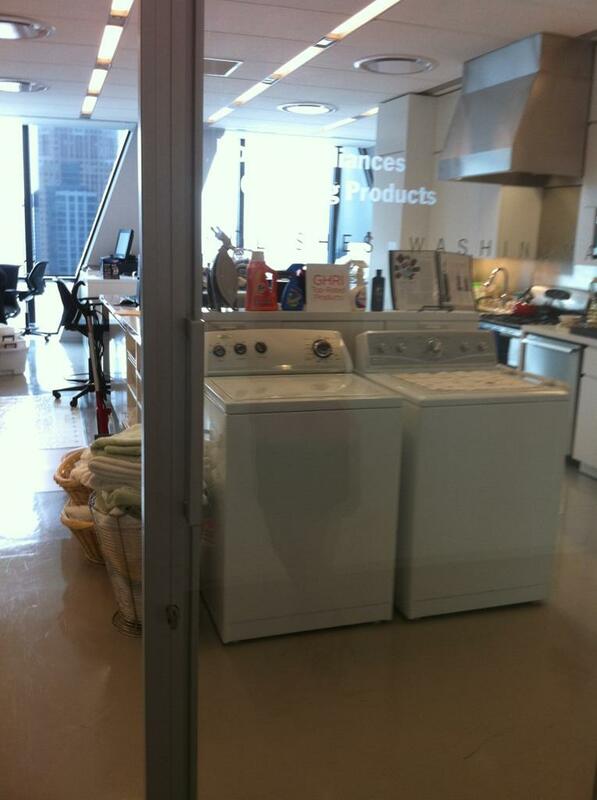 The Research Institute's test labs! The walls didn't taste like schnozberries but there was some serious tests being conducted on a number of products involving everything from Dyson Air Multipliers to ones with thread count to makeup. The process each product must go through is rigorous on a number of levels and GH's reputation is backed by its high standards. It is noted that around 5,000 products have received the seal.